My day starts early; midnight to be exact. I go to my job as an at home nurse and work for 8 hours. Once I am , my day really begins. I come home and see the mess my family has made while I was gone or in my writing cave. Disgusted, I proceed to get my little people ready for school. Mikey is seven, hates getting ready for school, and would much rather watch Ben 10. Alyssa is four and would rather sleep than do anything Mommy wants. The kids are dropped off and I head back home. I am face down, in my bed, passed out. Finally having had a chance to eat and ready to start my author work. I get online; check my Facebook, Twitter, blog, sales, and my reviews on Amazon, B&N, and GoodReads. After all that, I do any work that I need to do; posting or answering emails, just normal stuff. Now, the fun stuff starts. My characters have been going nuts in my head for the past 24 hours and are ready to be written. I sit down; have my phone beside me and a tall glass of water. I look at the screen and off I go. This is what I usually scream when this time rolls around. Gotta go get the kids. My house is nut case. Everyone is looking for dance shoes, soccer cleats, ice skates, or something else that is needed for that afternoon’s activity. We leave for the activity. If it’s Mikey’s day, then Alyssa plays on his DS while I try to finish the chapter I started earlier. If it’s Alyssa’s, then Mike does homework while I am writing. While dinner is being made, I am reading my last chapter, yelling at the kids to clean their rooms, do their homework, and stop fighting. Yes, in that order. My husband comes home and everything gets louder. We sit down for dinner. Baths and kids go to bed. Husband and I snuggle while watching hockey or our shows. Husband goes to bed and I continue to write. I’ve usually fallen asleep on my keyboard. My alarm goes off telling me to go to work and I haven’t even finished what I was doing. Then it all starts over again! Audrey is me. No seriously, she is. It was like I was reading about me. My thoughts, my self doubts, my image issues. She had real issues that she had to get through. I mean, really a hot hockey guy liking her? In her wildest dreams, she thinks. After the crap she had to deal with her last relationship, I understand where Audrey was coming from. I’ve been there, bought the t-shirt and now its a rag. While I enjoyed both Audrey and Tate, sometimes I did want to shake Audrey. Sometimes the self doubt wore thin but knowing that Tate was there to help her see that she was beautiful, smart and successfull. I completely fell in love with Audrey and Tate. I really need to go back and read the first two books in this series. Piper’s book should be a hoot and I can’t wait. 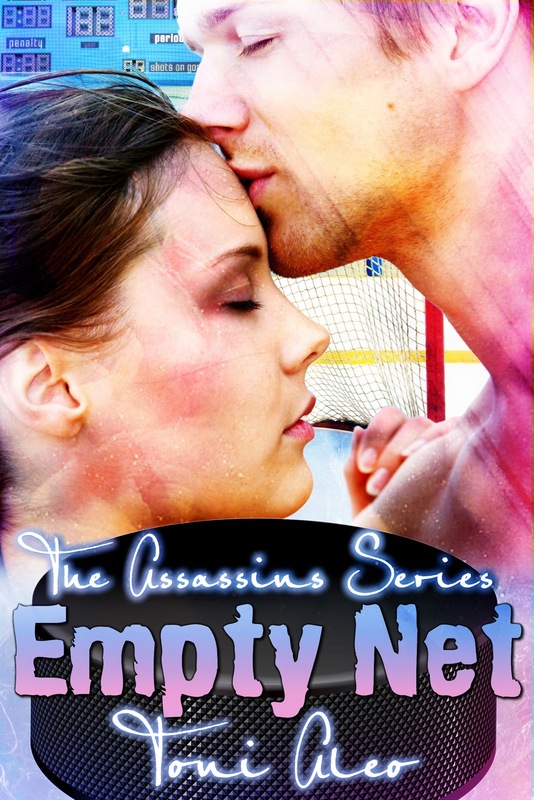 If you are looking for a feel good, emotional driven story with great characters, even better dialogue and a multilayered story, Empty Net is for you. 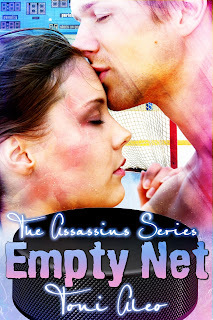 This sounds really good would love to read it I read Trying to Score and loved it. 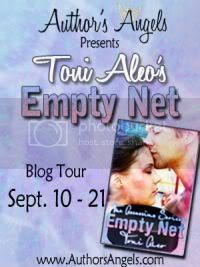 Thank you for the great blog tour and giveaway! I don't know how you find the time to write the way you do, but I'm so glad you manage! I'm tired just reading your schedule. Ugghhh I'm glad you are able to carve out time to write, edit, and participate in book tours! Very nice review. The book sounds good. Awesome review. It sounds like a really good book. And Lord, you are a busy woman! How do you function? You definitely need more sleep! There doesn't seem to be enough hours in the day to get everything done. Same question from me too… do you ever sleep? WOW! And I thought I was busy! Mikey sounds so much like my Riley. He, too, is 7 and HATES getting ready for school. He prefers to watch his older brothers as well. A mother's work is never done.